← Writer Interview: Thelonius Legend (#BlackWritersChat, #BlackComicsChat), Novelist & Superhero Dad! Cover design by Glass Knife Press Technical Services. Until we meet the wider world, we think “our ways” are “the way.” You learn the geography of each of the Inhabited Worlds, and the spatio-temporal fabric of Ordinary Space and the Jumps, but in spite of the mathematics of relativity, you keep the quiet bone-deep assumption that Karis is the true center. Other folk have peculiarities, not your own. And your own family, of course, is ordinary. I learned differently, but there was a price. Most of that price was paid by someone else: Jehen and Ferenc, but to an unimaginably greater extent, Yasmin. But that’s a story for another day. I am still absorbing the shock of seeing Jehen after fifteen years, as long as my namesake, Martisset yr Astok the Elder, served as a starship captain. 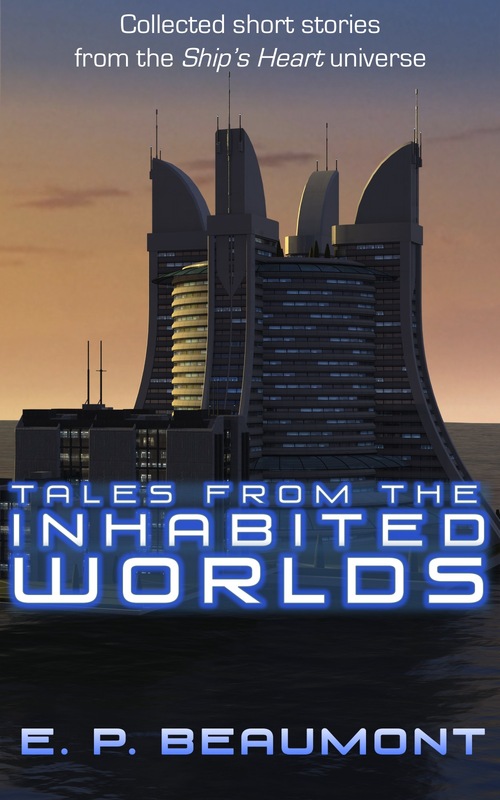 Excerpt from “Voyage, Interrupted,” in Tales from the Inhabited Worlds. This entry was posted in Writing and tagged Excerpt, publication, Science Fiction, Tales from the Inhabited Worlds, Weekend Writing Warriors. Bookmark the permalink. Not only is this a lovely snippet, it’s also a thought provoking narrative. Nicely done! I love how these comments the character is making are timeless and as true for us as they are in the world you’ve built. Excellent excerpt….I want to sit down and converse with these people! So universal and so true. The narrative shows excellent insight into the challenges of being sentient. Well done. I enjoyed the philosophical tone of this snippet. It’s different and effective. It’s always good to start with a universal truth. Very atmospheric eight.